Our famous rolls, deconstructed and naked for the world to see. This is the classic roll inspired by french colonisation. It only gels together by using the freshest fillings on a crisp baked baguette. Each filling has the unique purpose to create the perfect balance of Vietnamese & French flavours. If you're game, add some hot chilli for that extra kick. Our Banh mi is available in a Regular size and also in a 12" option, how hungry are you? Banh mi has become an Australian favourite, growing to become the new-aged 'sanga'. We've heard its the "best pork roll in sydney"! A delicious and light option for lunch or dinner. 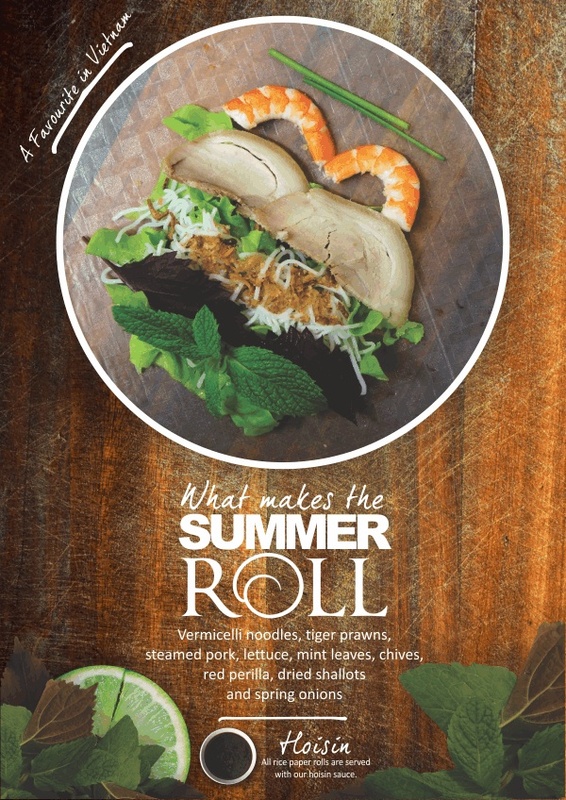 Freshly peeled tiger prawns, steamed pork and a perferct balance of vegetables, vermicelli, and vietnamese herbs that together that feels like summer. Dipped in a soy bean hoisin sauce, for that added sweetness and right balance to the roll. Always sold with ground chilli in the sauce, for that good kick of heat. While we were growing up, the aromas of the beef broth slowly cooking was an indication of a great family dinner to come. Our aunty would spend hours making the broth and we loved it every single time. At Rolls we are now putting that love back into our recreation of Vietnamese Pho, selecting only traditional herbs and fresh produce served with soft rice noodles (Banh pho). Grab a cup or bowl to start your day now. To explain it: Freshness with goodies in a bowl. Vermicelli noodles, green oak lettuce, mint leaves, red perilla, cucumbers, bean spouts, pickled carrots, sugarcane prawn, spring rolls and BBQ pork. Sprinkled with roasted peanuts and fried shallots, mixed through with our special fish sauce. Our Ca phe sua da uses coarsely ground Vietnamese-grown dark roast coffee individually brewed traditionally in a small metal French drip filter into a cup containing a touch of sweetened condensed milk, stirred and poured over ice. This quick and tasty Vietnamese coffee will kick start your day.